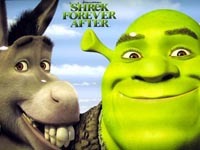 The Tribeca Film Festival will open with the world premiere of "Shrek Forever After" on April 21. The annual New York film festival announced the selection Monday. "Shrek Forever After" is the fourth film in DreamWorks Animation SKG Inc.'s "Shrek" series. It stars Mike Myers, Eddie Murphy, Cameron Diaz and Antonio Banderas. The film is being advertised as the "final chapter" in the "Shrek" series. It's also the first "Shrek" released in 3-D. The ninth annual Tribeca Film Festival runs through May 2. The rest of its slate will be announced in the coming weeks.